Keep your daily routine running efficiently without ever missing a dose of medicine or missing an important appointment! This Ladies Talking 4-Alarm Medical Watch lets you set up to 4 daily talking alarms, or use the talking stopwatch to time and track your activities. You can see the time and day of the week displayed on the large LCD or hear it announced, and set an hourly chime and time announcement. Case diameter is approx. 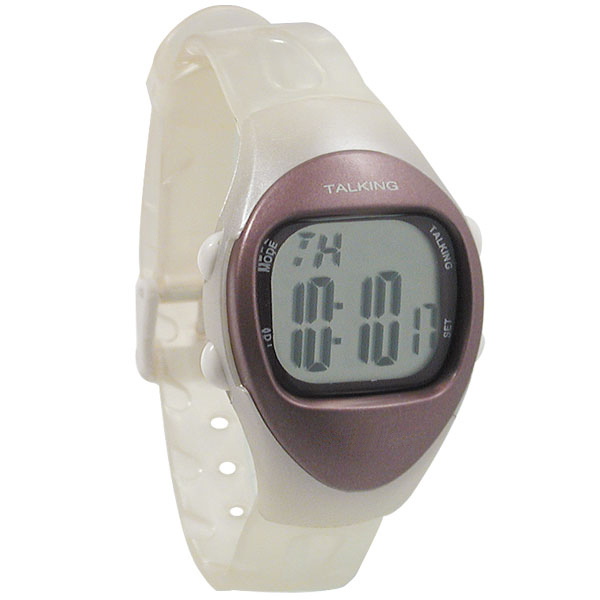 1"
This watch is equipped with a Power Saving Mode to preserve battery life. In order to use the watch when you first receive it, it may be necessary to turn off Power Saving Mode, a simple process that is done as indicated below.